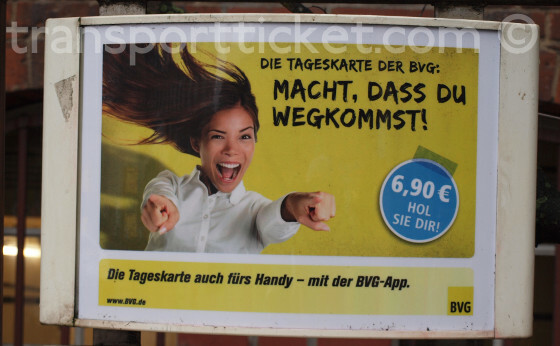 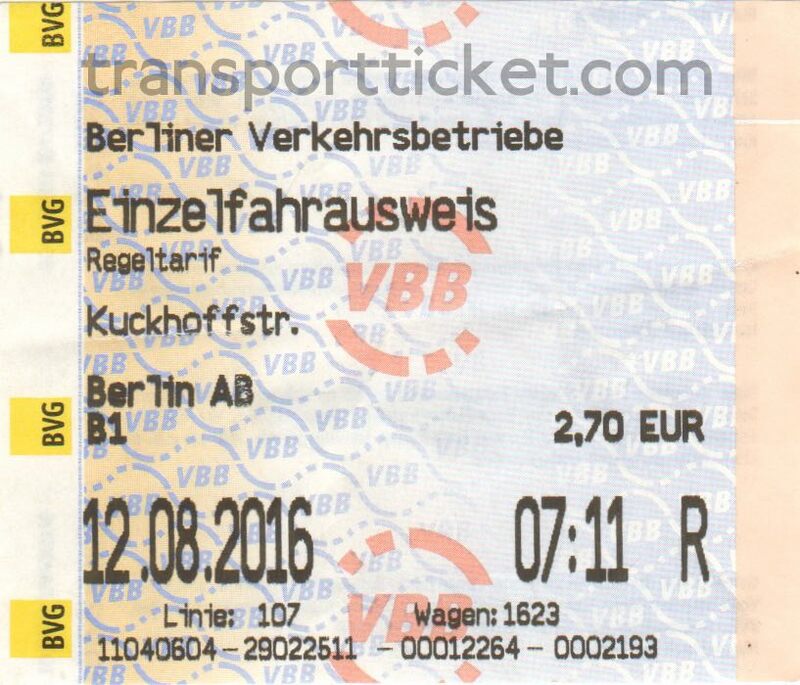 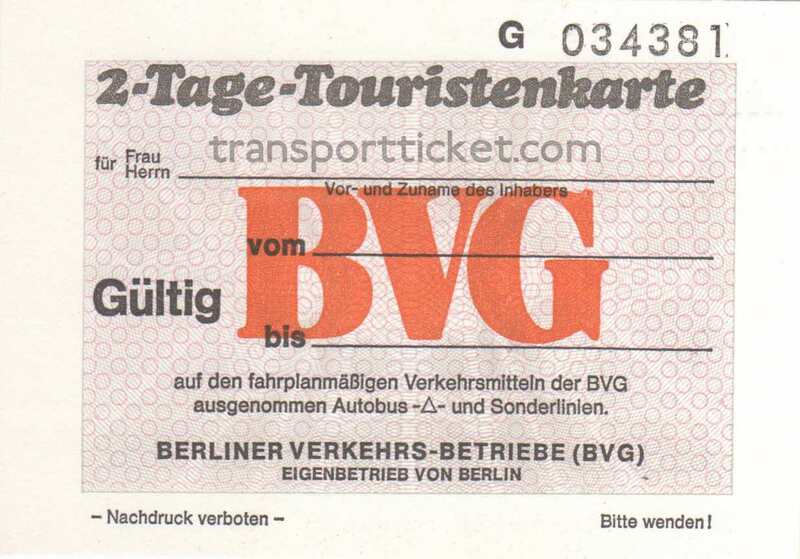 BVG is the city transport company of Berlin, Germany. 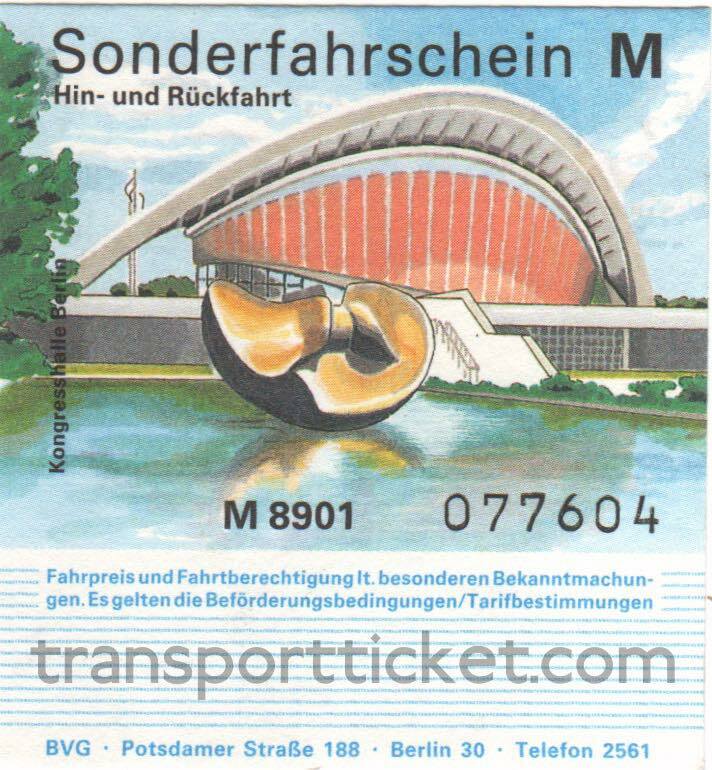 Since its foundation in 1928 it has operated under several different names. 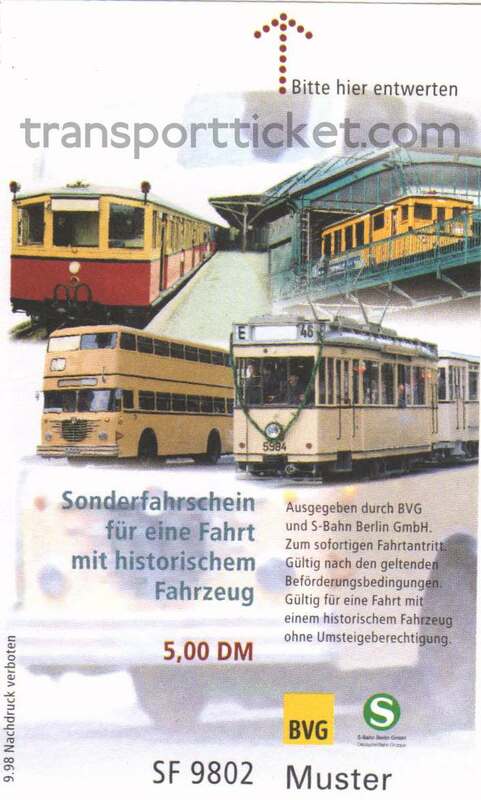 Between 1949 and 1992 BVG was divided into two companies, one for West-Berlin and one for East-Berlin. 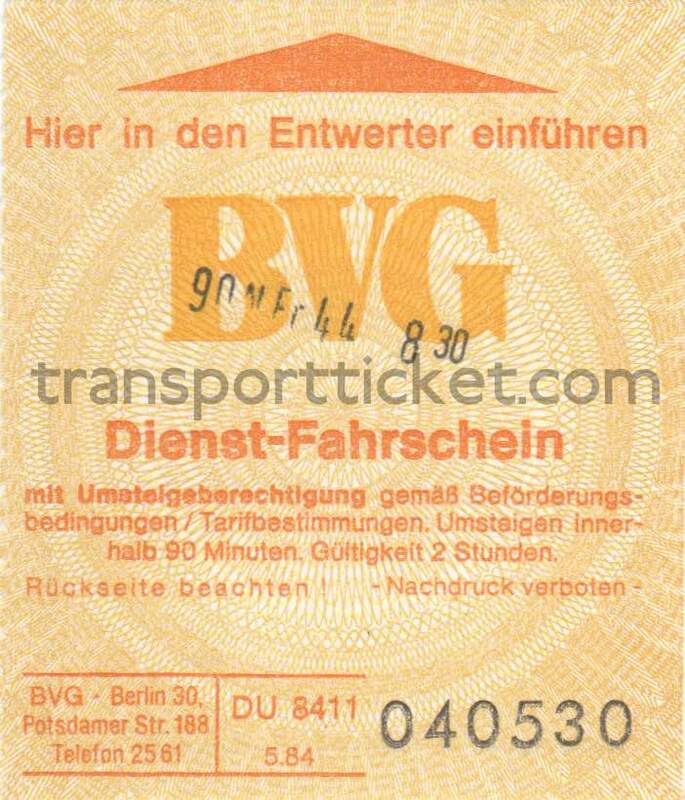 BVG runs buses, undergrounds, trams and ferries in and around Berlin. 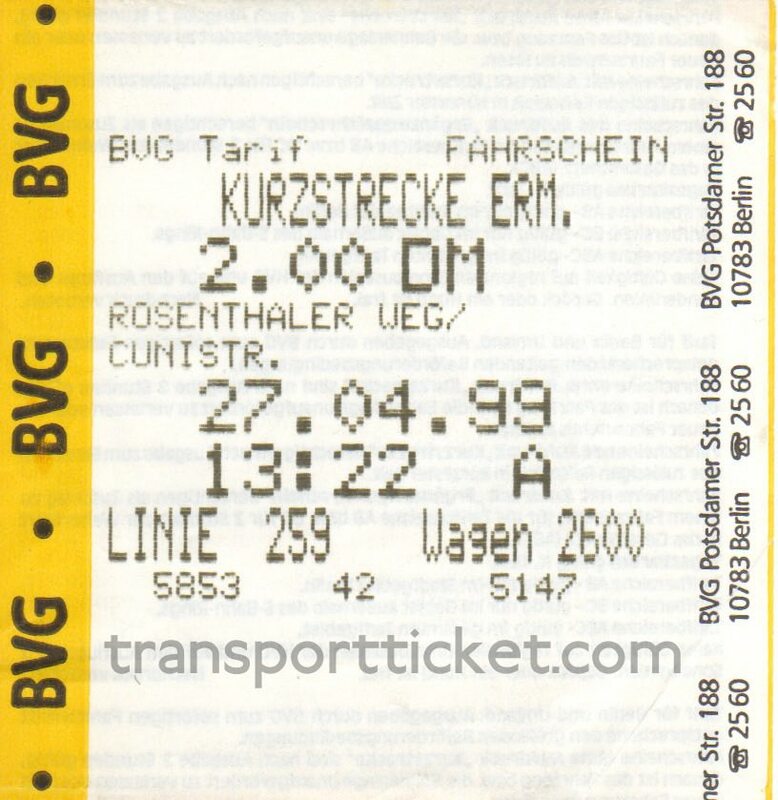 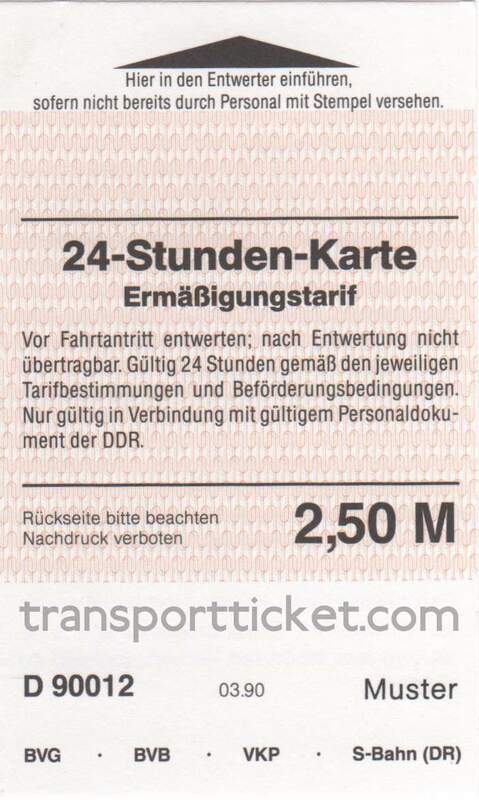 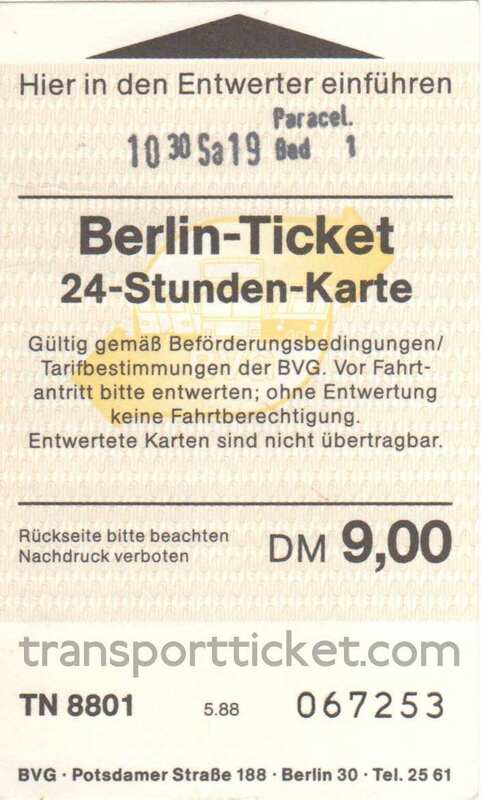 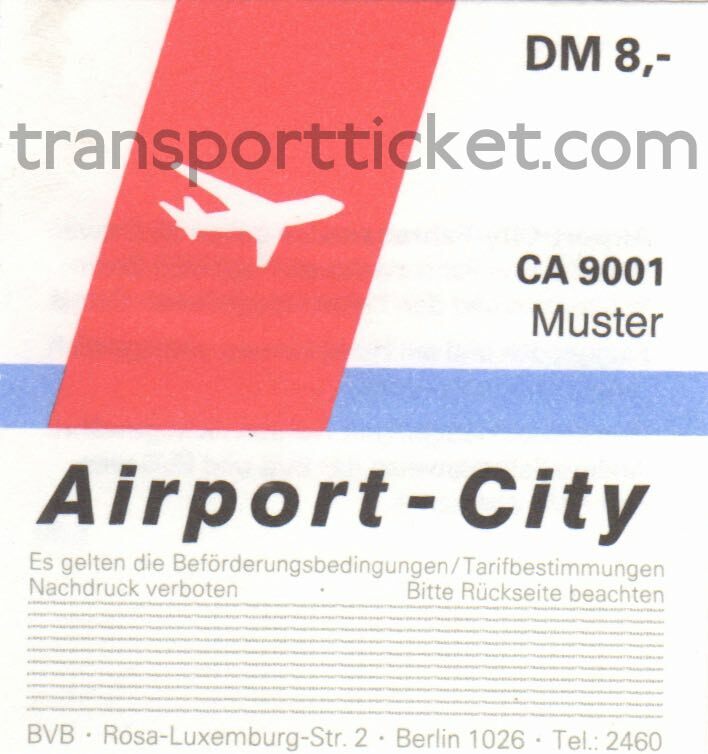 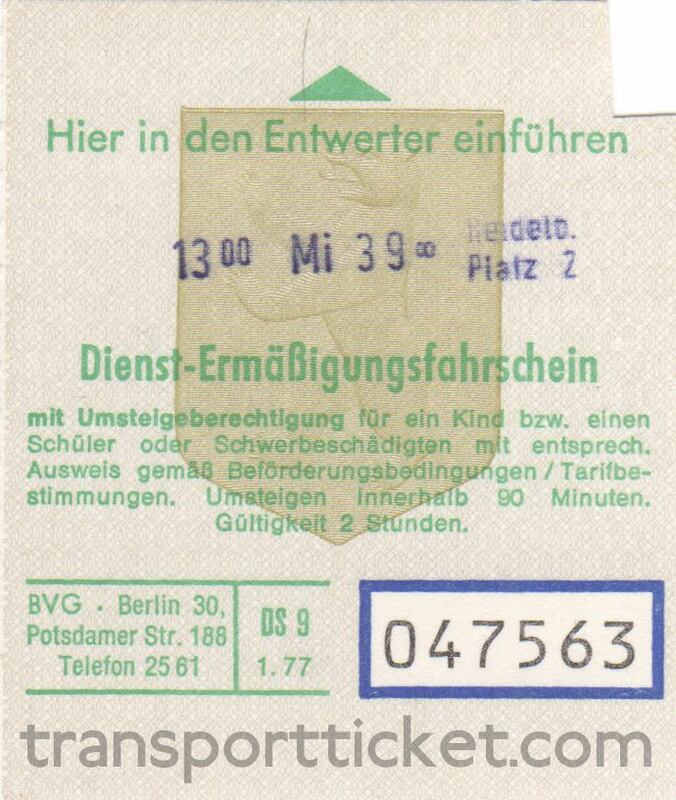 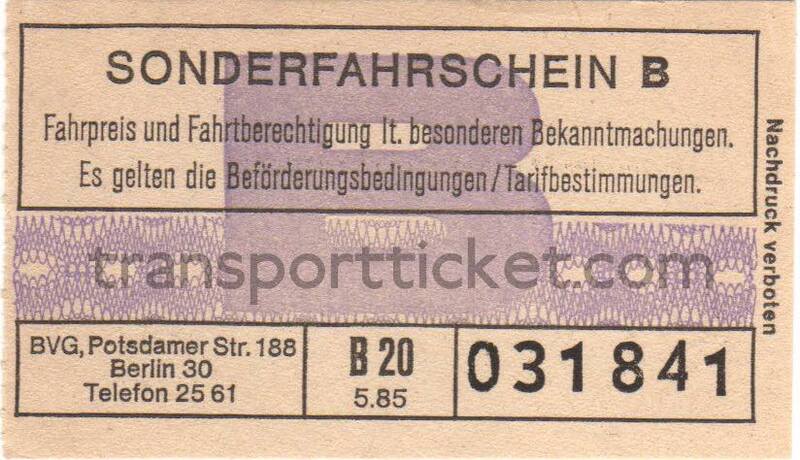 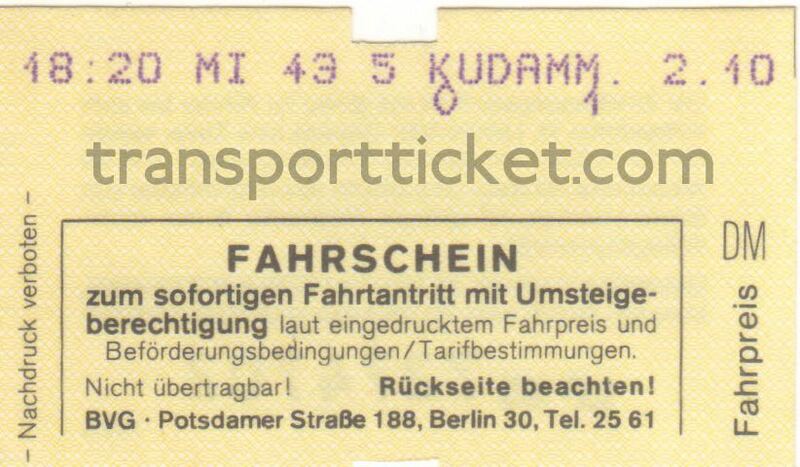 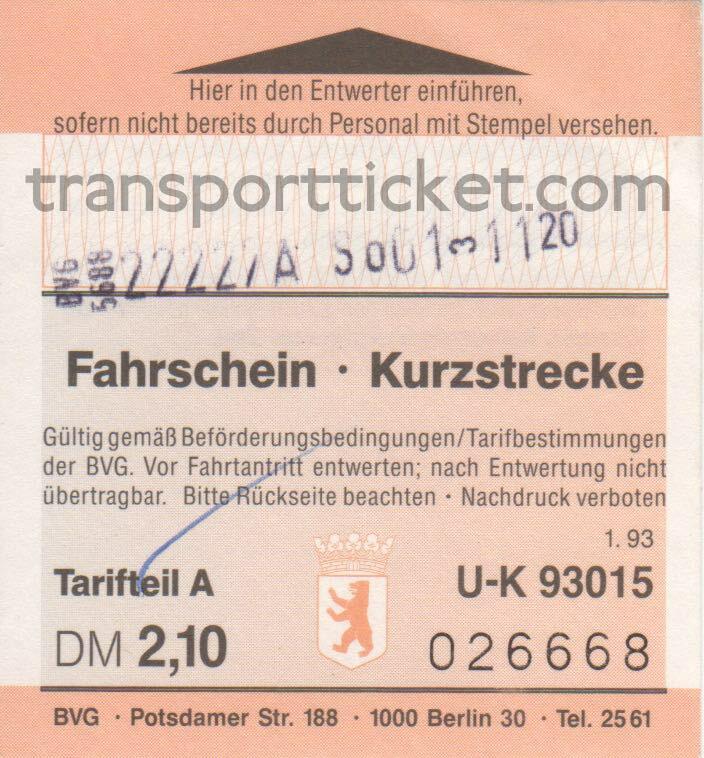 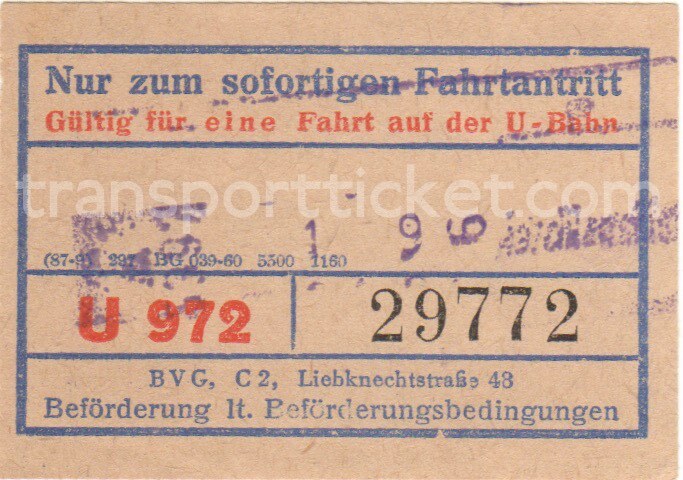 The tickets marked with A1, A2, B2, C1 and C2 were for East-German citizins travelling in West-Berlin. 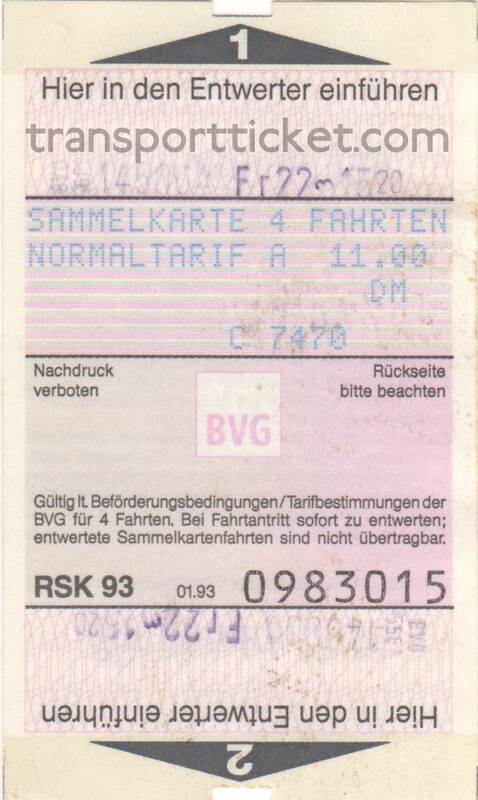 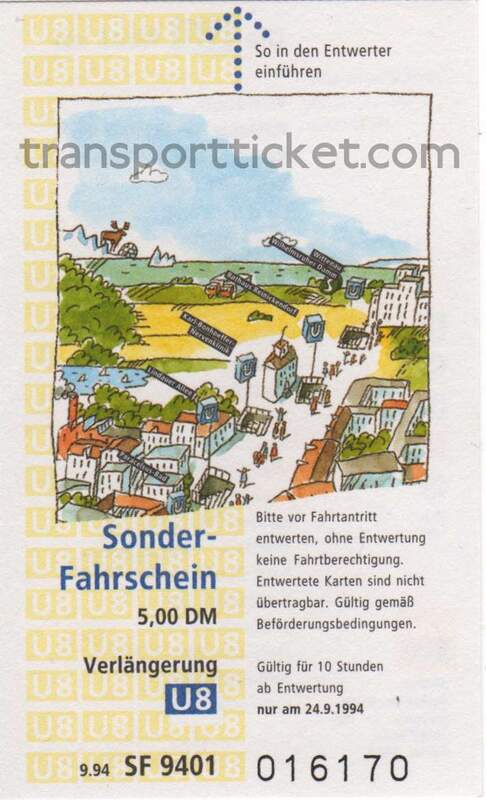 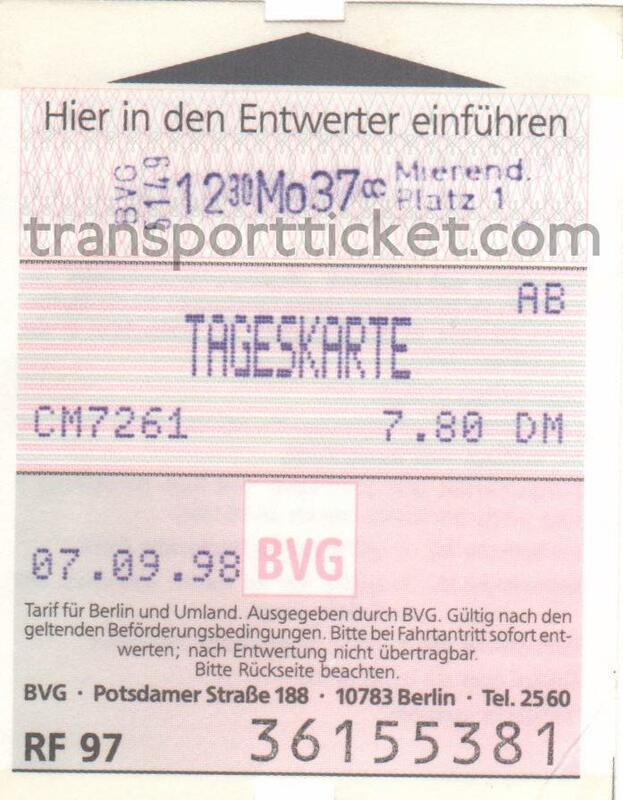 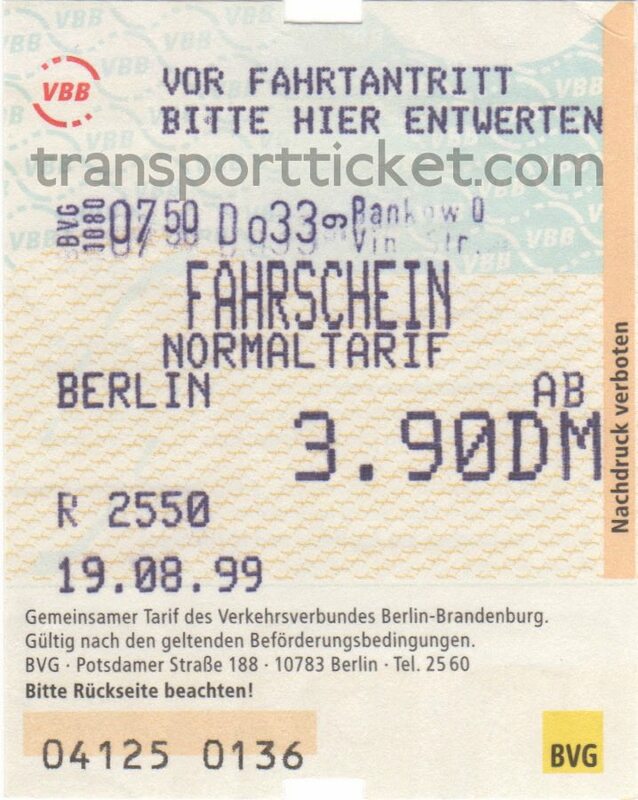 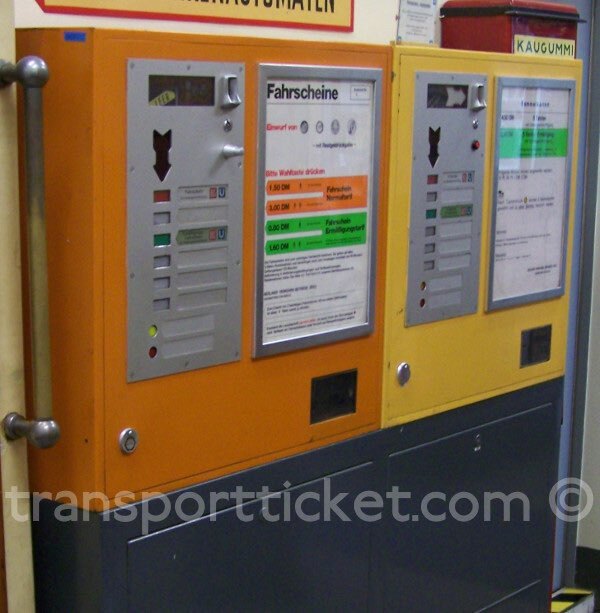 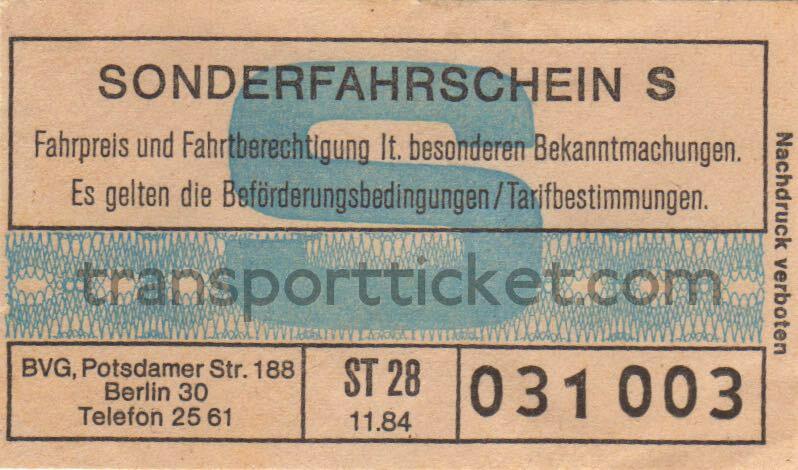 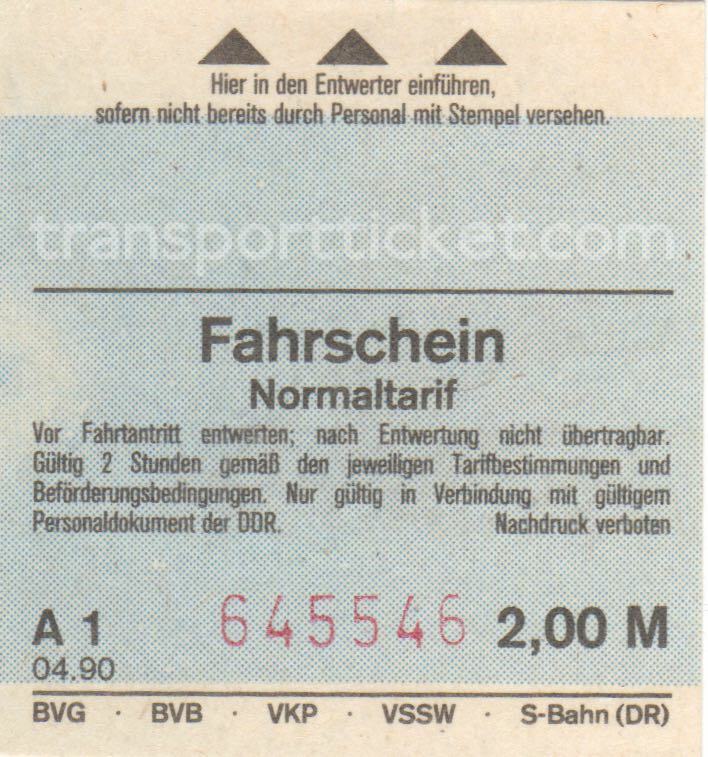 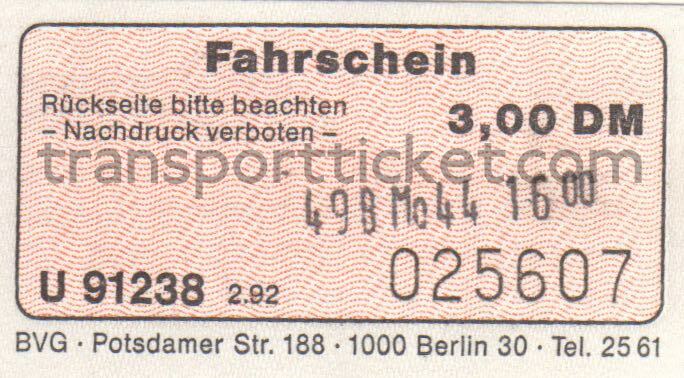 The fare was in East-German Marks. 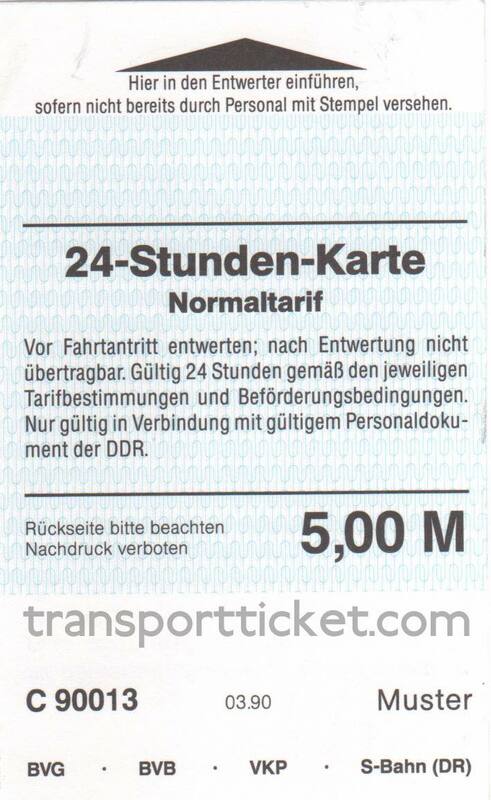 Specials are tickets valid for a specific line or only valid on a specific occasion. 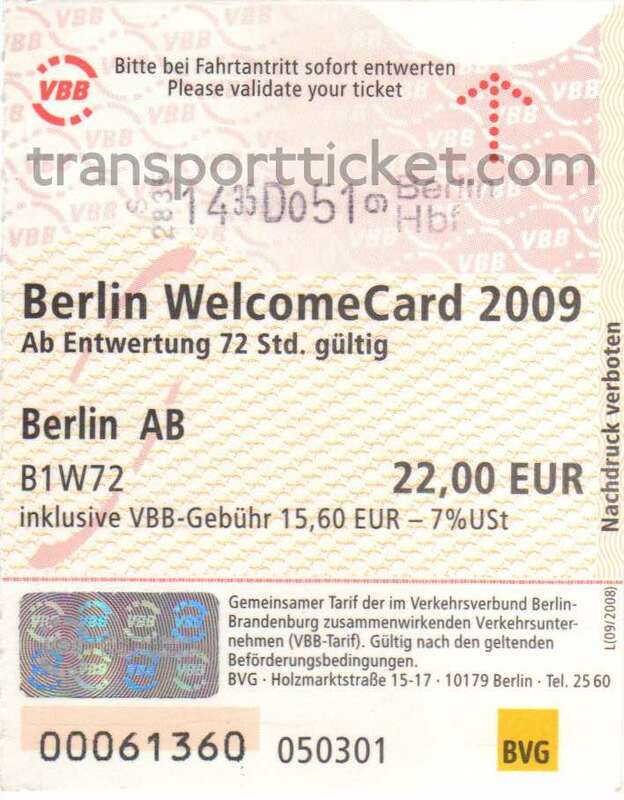 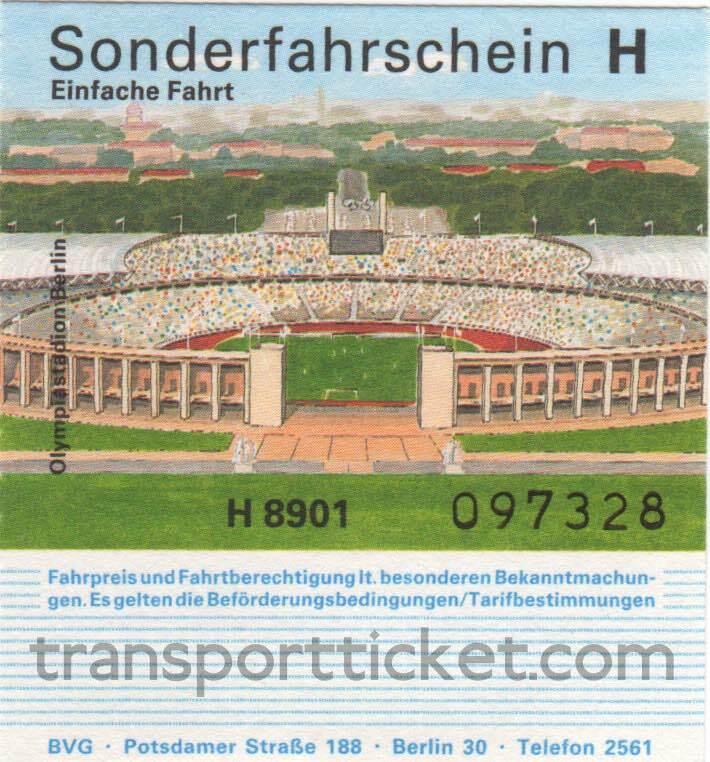 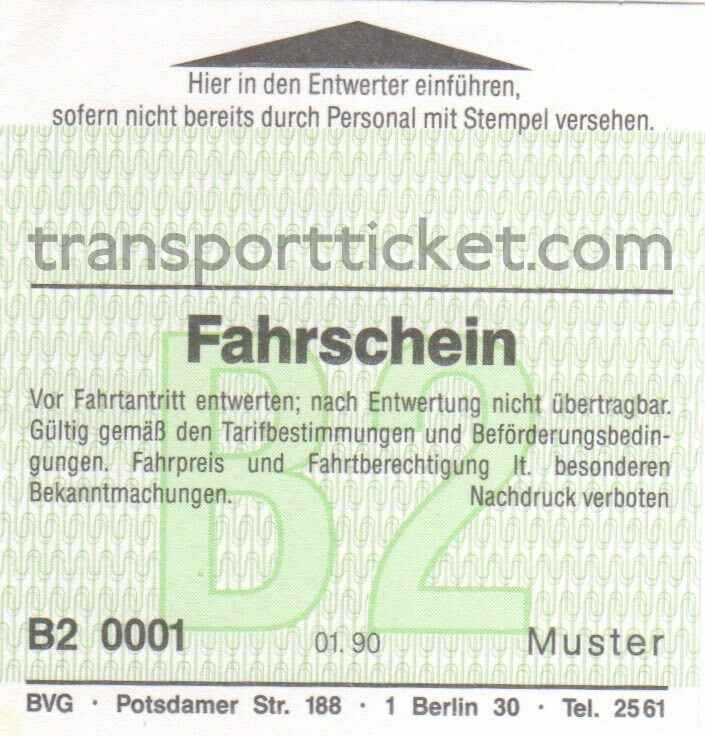 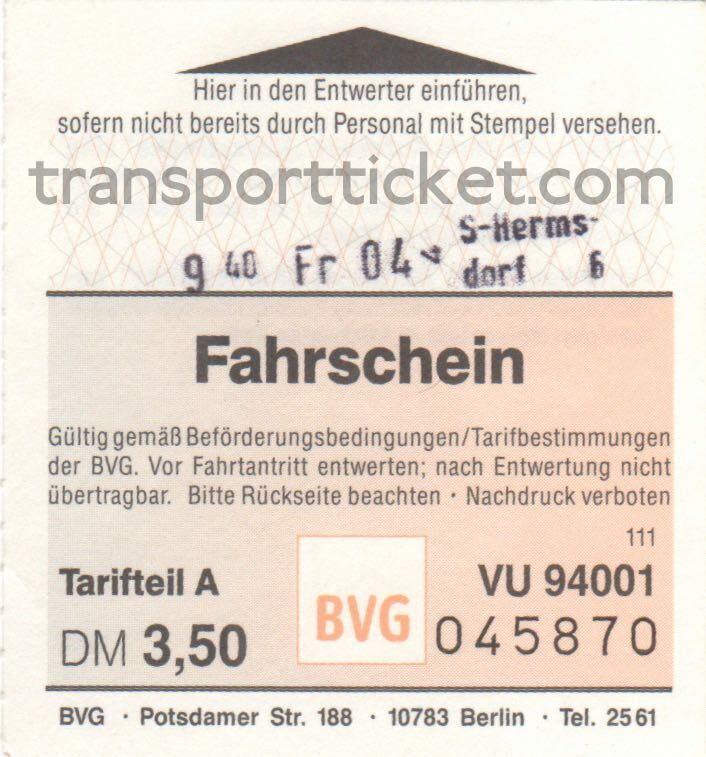 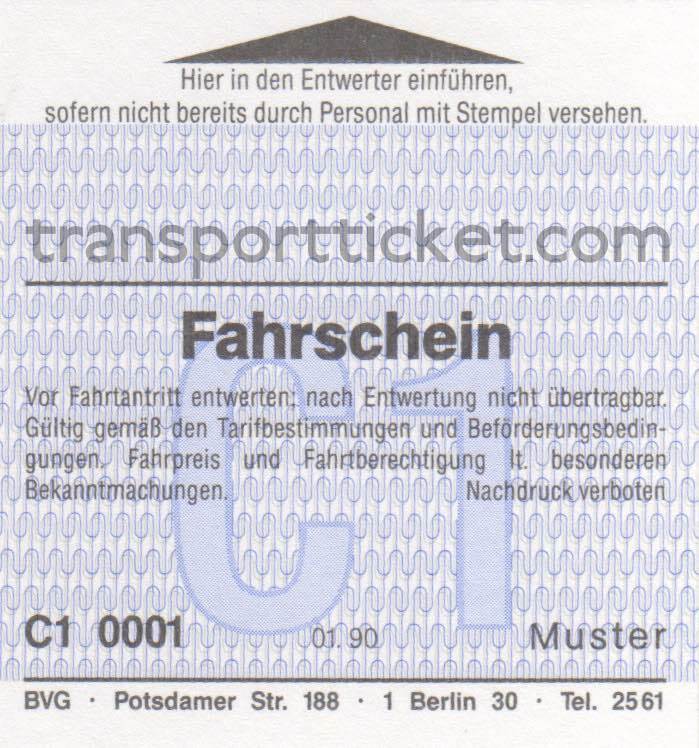 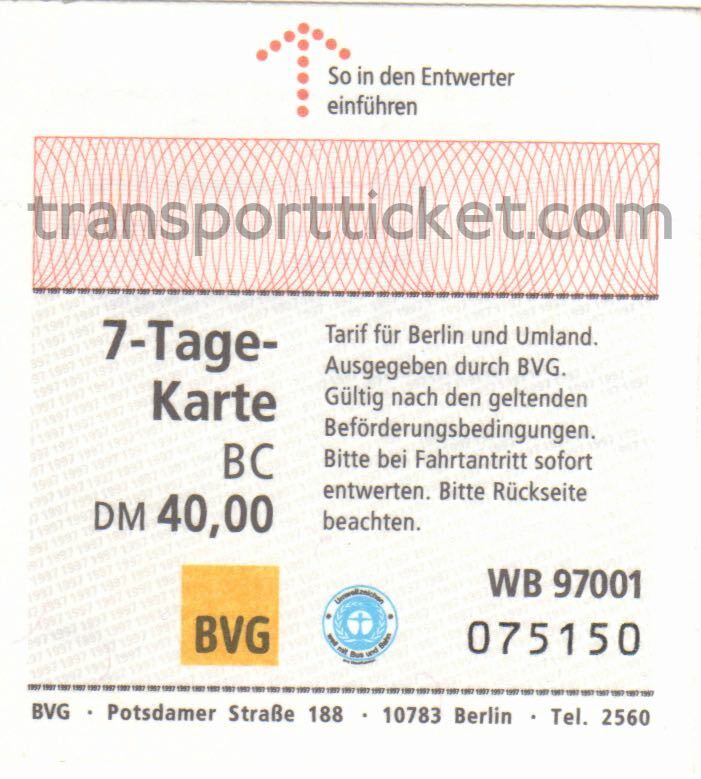 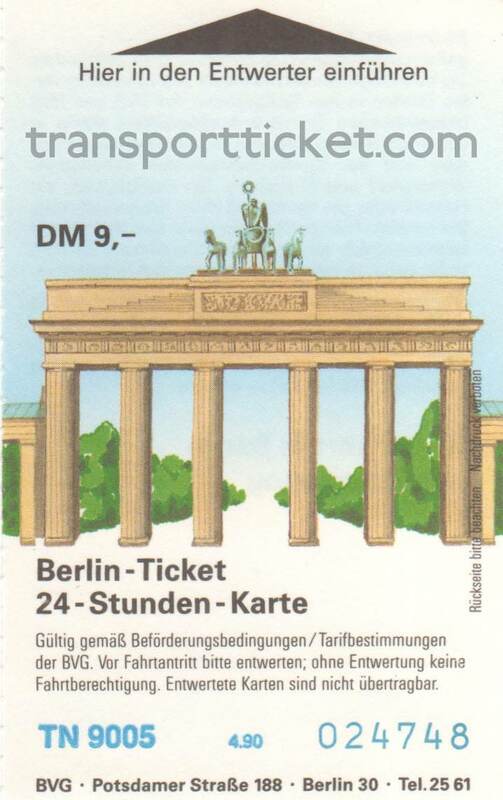 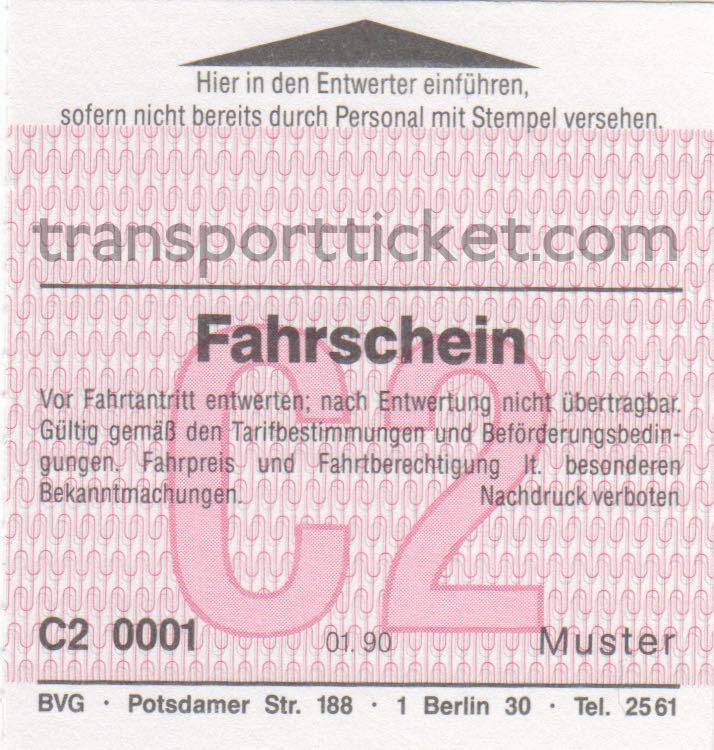 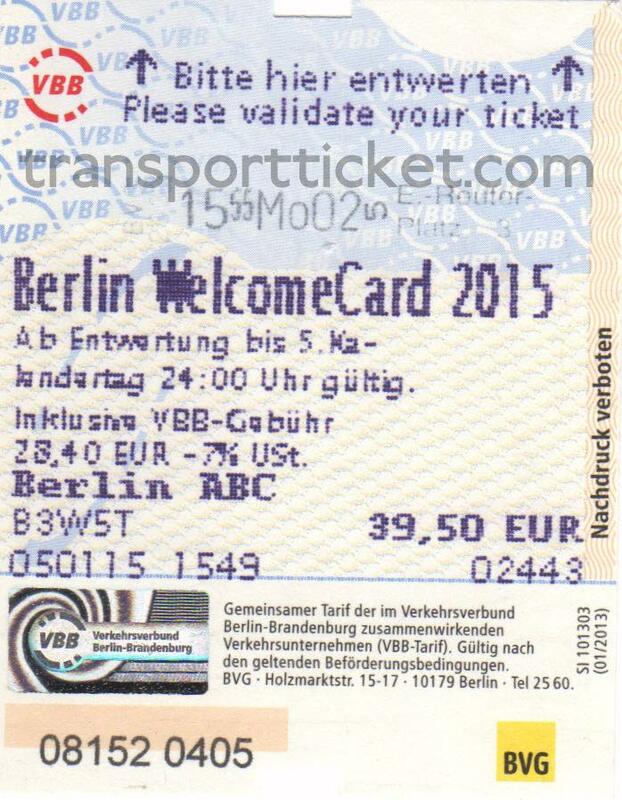 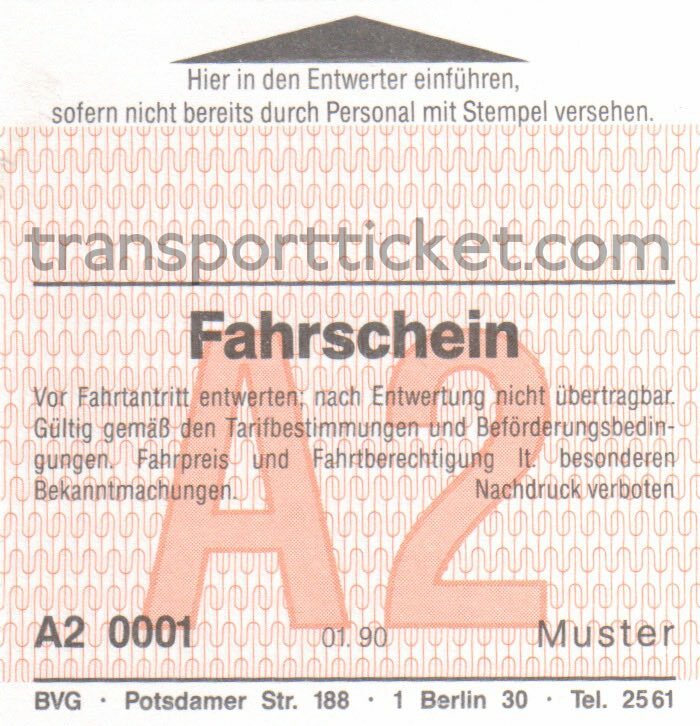 The Berlin Welcome Card is a ticket for all public transport in and around Berlin. 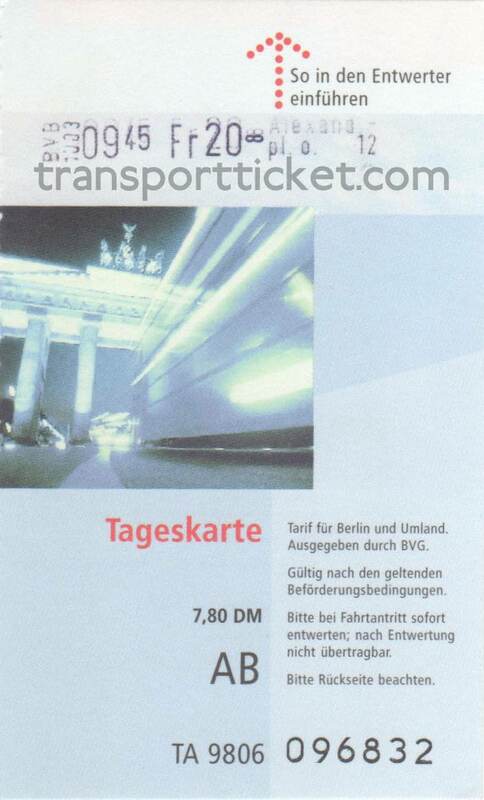 Besides transport it also gives discounts at several tourist attractions like museums and theaters. 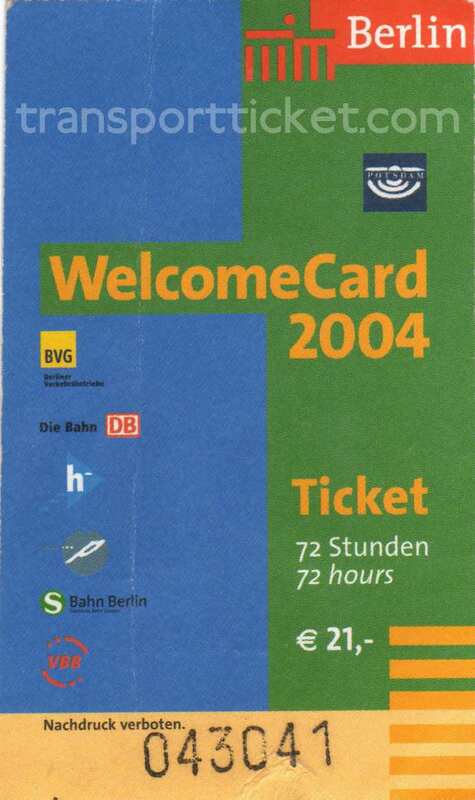 The Welcome Card is thus mainly aimed at tourists. 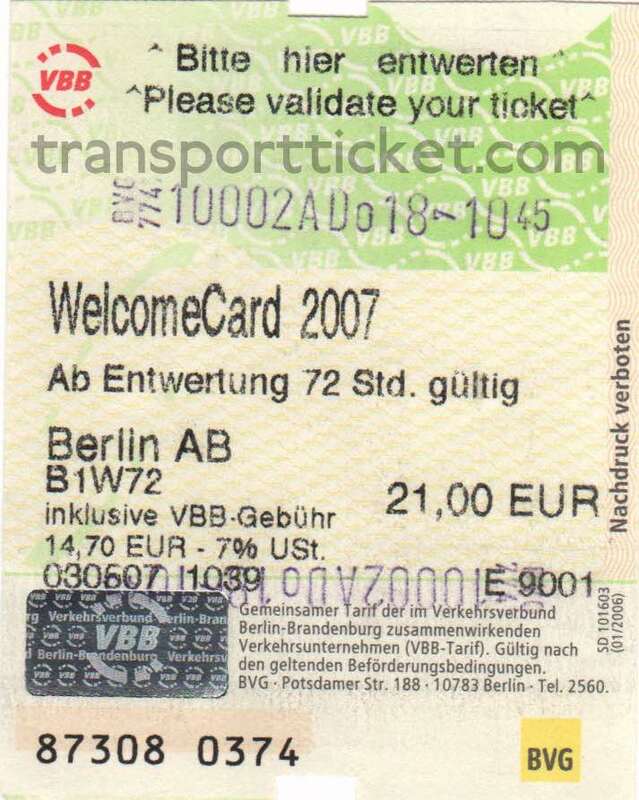 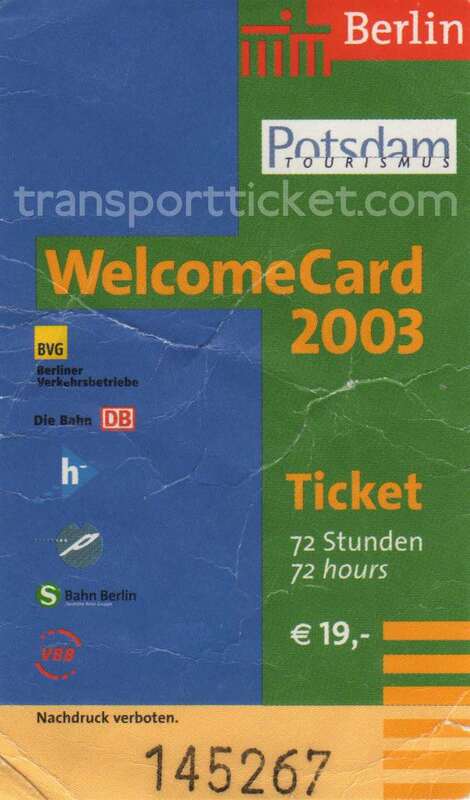 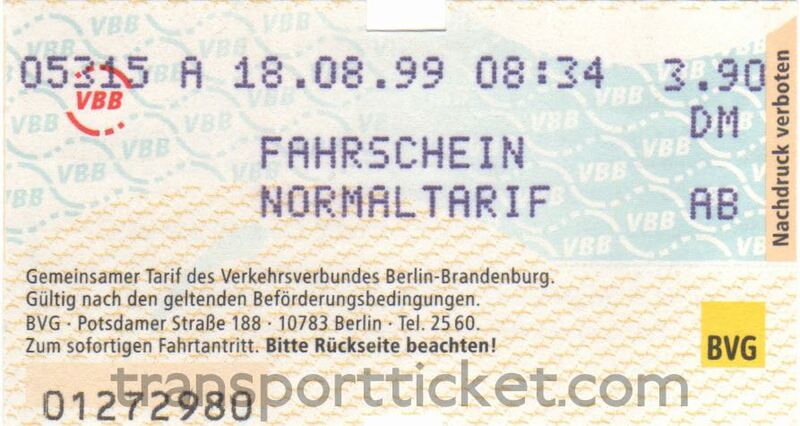 The Berlin Welcome Card was introduced in 1995. 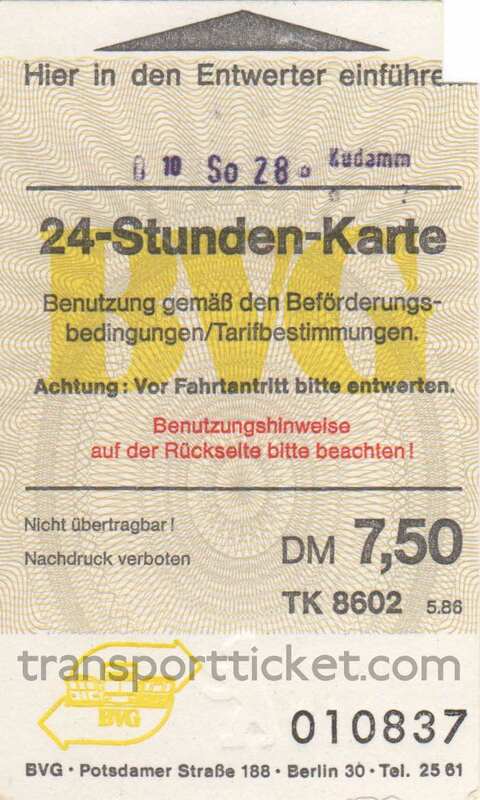 It is nowadays available in several versions depending on duration and area. 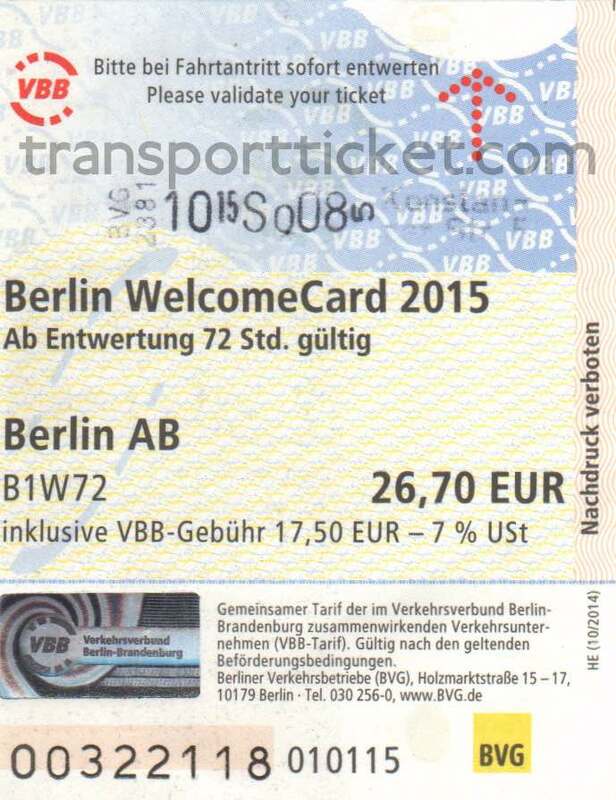 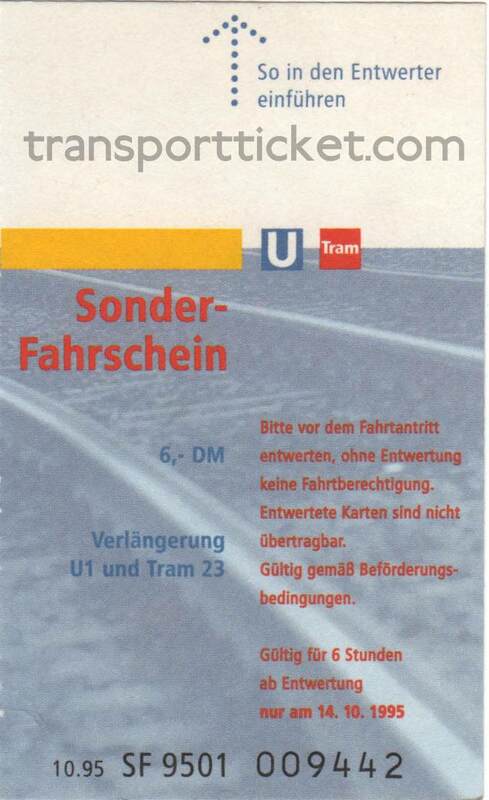 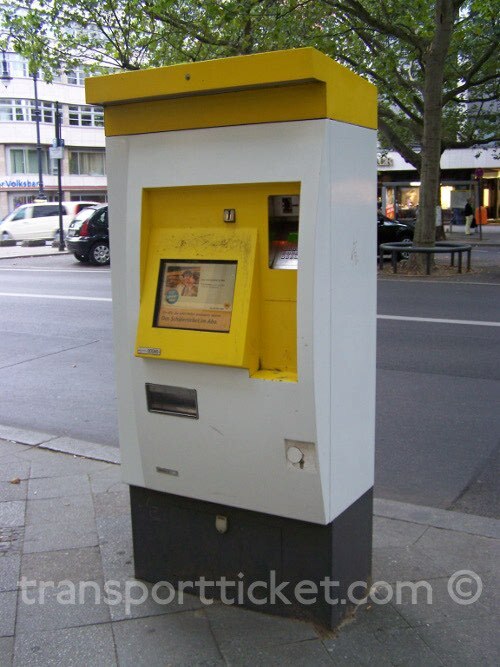 The Berlin Welcome Card is sold bij several transport companies in Berlin, not only BVG. 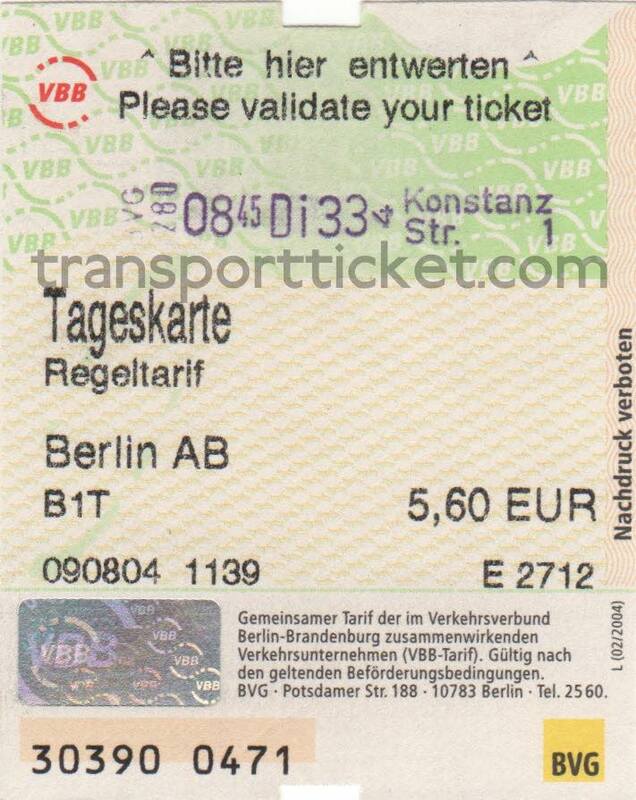 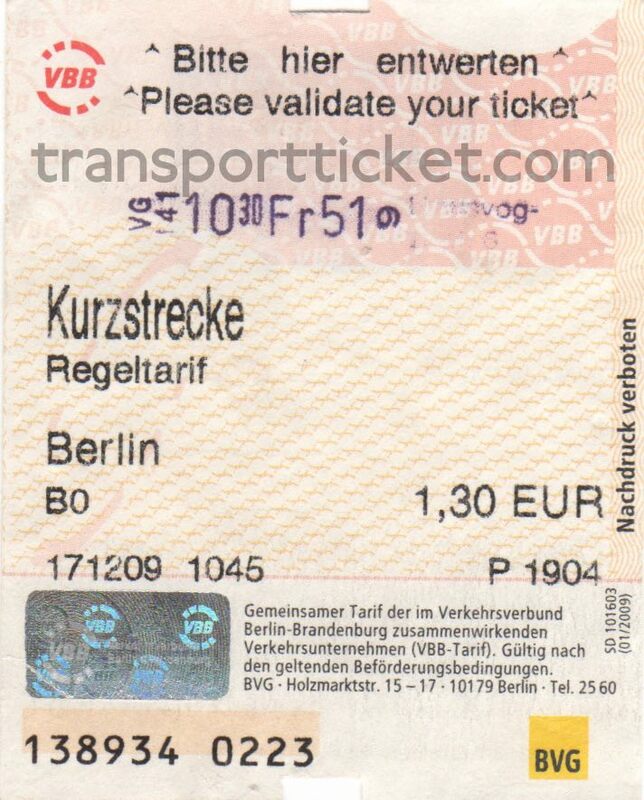 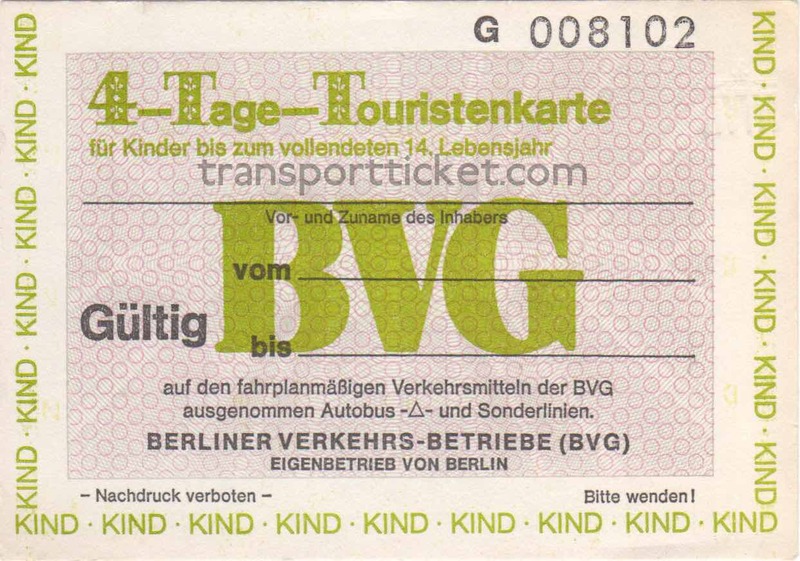 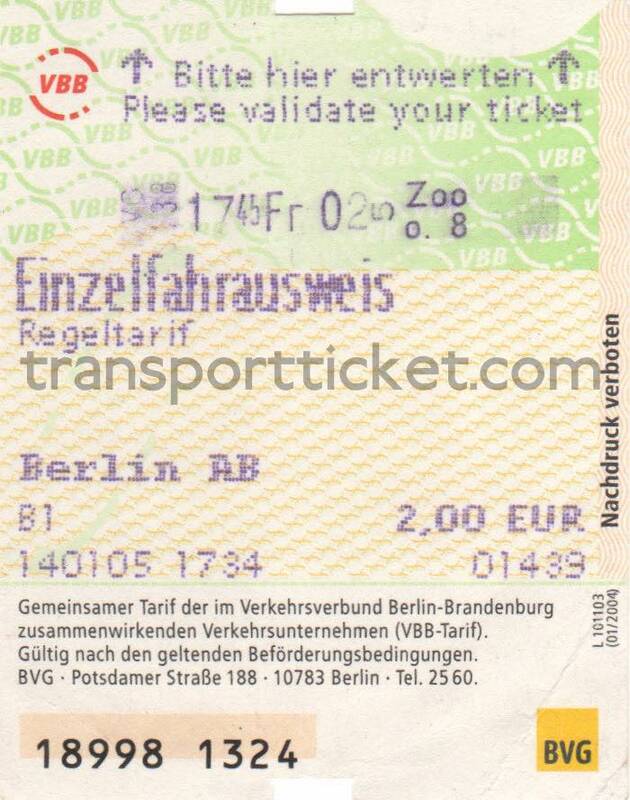 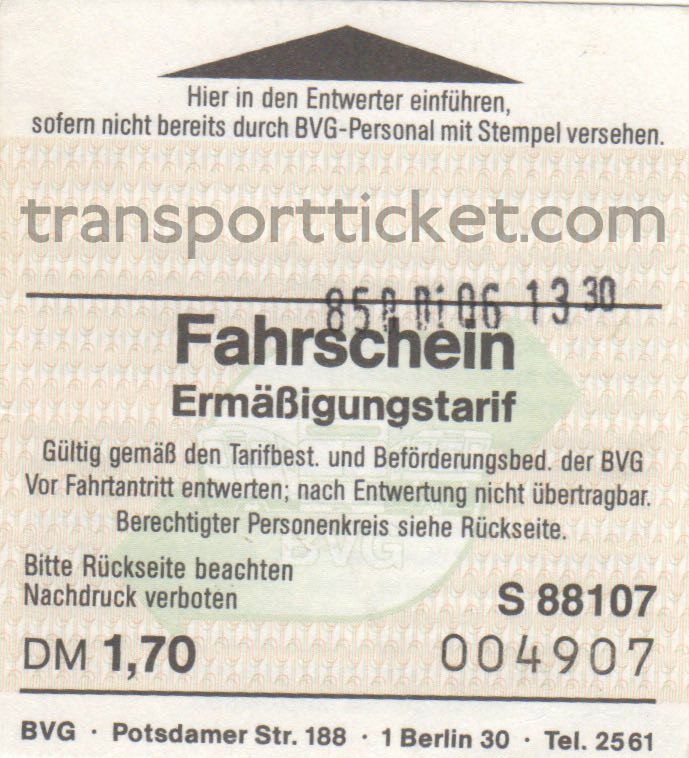 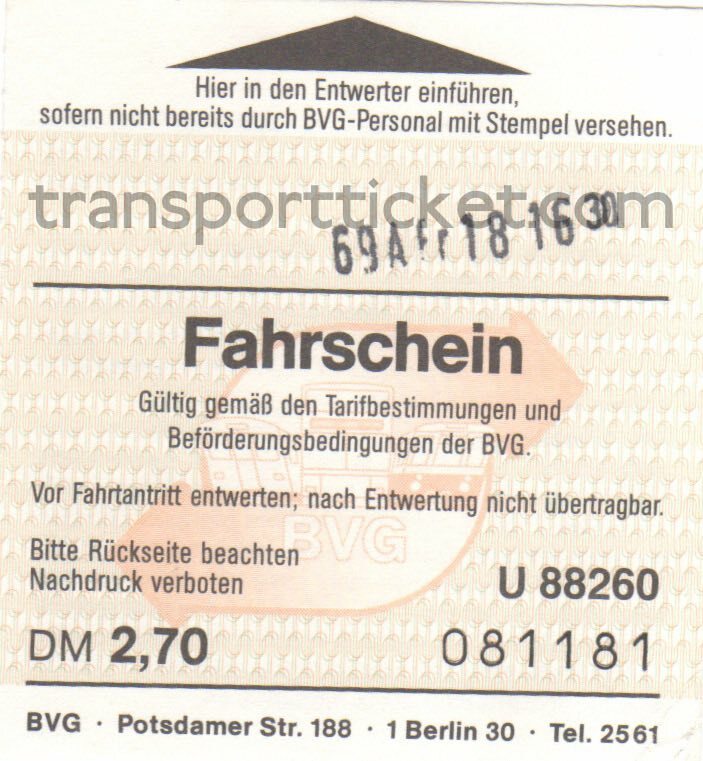 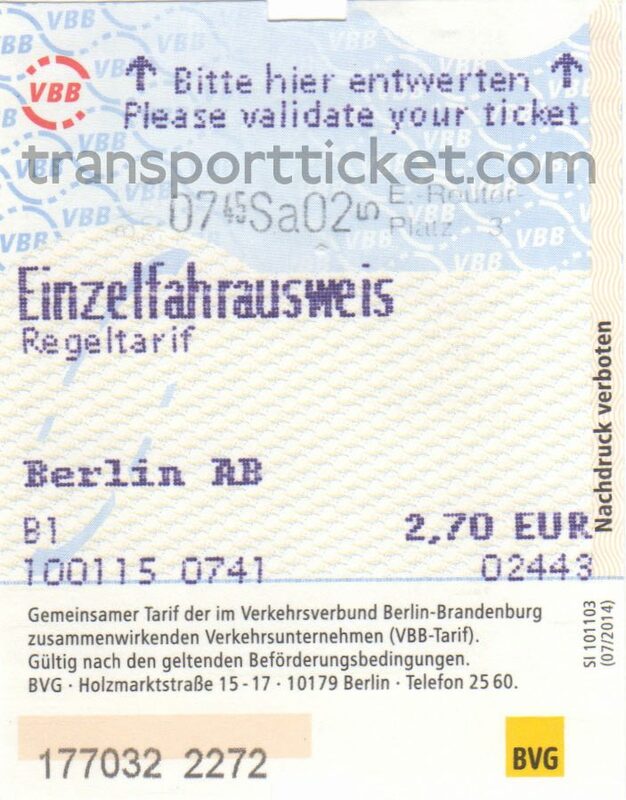 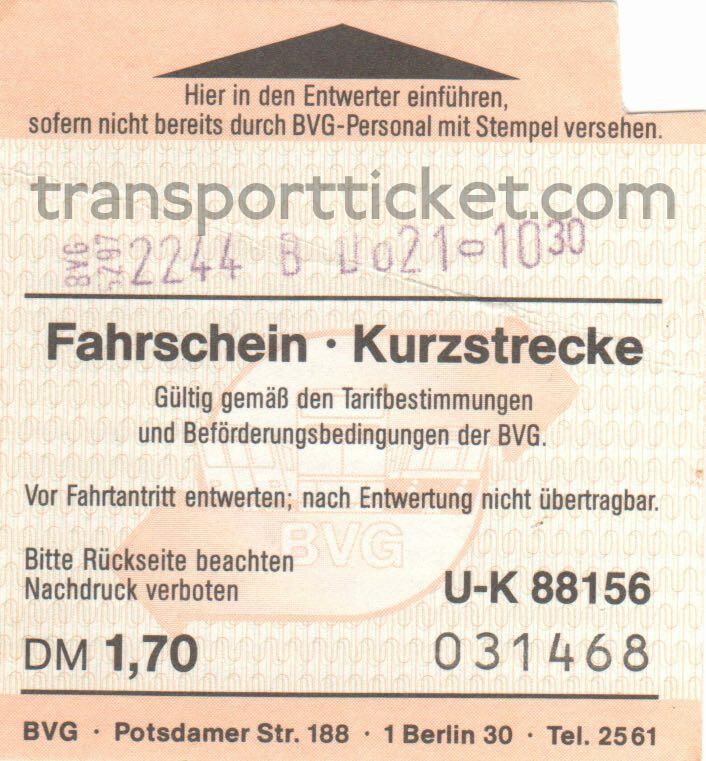 Here shown are only Berline Welcome Cards issued by BVG.